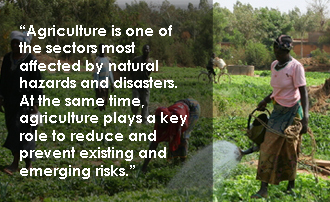 At FAO, disaster risk reduction and management is a corporate priority expressed in FAO's overarching Strategic Objective to "increase the resilience of livelihoods to threats and crises." 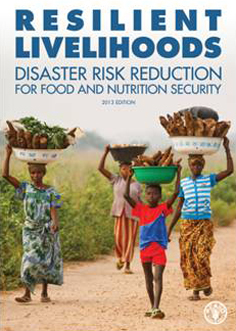 The primary threats to food and nutrition security addressed include natural hazards, food chain emergencies and transboundary threats, and protracted crises. 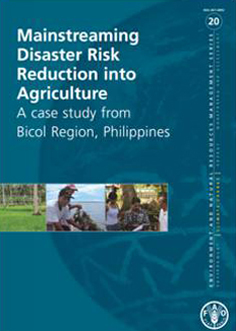 The FAO Framework Programme on Disaster Risk Reduction for Food and Nutrition Security provides strategic direction for countries frequently exposed to natural hazards. 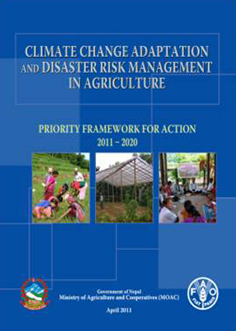 In line with the priorities set out in the Hyogo Framework for Action, it promotes an interdisciplinary and programmatic approach to disaster risk reduction by integrating agriculture and natural resource management sectors to cope more effectively with disaster risks that threaten the livelihoods of small-scale farmers, foresters, pastoralists and fishers. 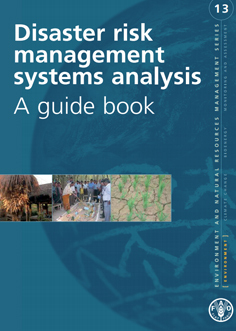 Enable the environment: FAO provides policy advice, analysis, and technical assistance to member countries to develop appropriate legislation, policies, strategies, standards and institutional frameworks for disaster risk reduction in agriculture and related sectors, and to strengthen capacity of institutions to implement these initiatives. See cases in Cambodia, the Philippines and the Caribbean. 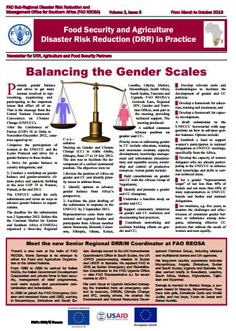 Watch to safeguard: Through its various global information services FAO aims to strengthen and harmonize food and nutrition security information and early warning systems to better monitor multiple threats and inform decision-making in preparedness and response, policy, advocacy and programming. 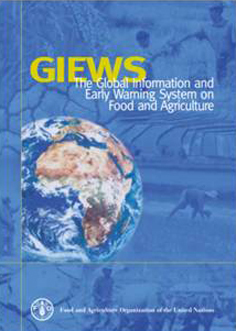 Examples of FAO tools most relevant for natural hazards: Global Information and Early Warning System on Food and Agriculture (GIEWS) and Agricultural Stress Index System (ASIS). 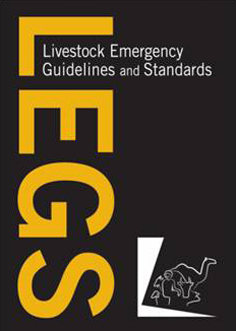 Apply prevention and mitigation measures: FAO provides technical assistance to the identification, testing, evaluation and replication of good practices, processes and technologies for risk prevention, mitigation and livelihood diversification. The TECA database provides examples of field-tested technologies and practices for small agricultural producers. 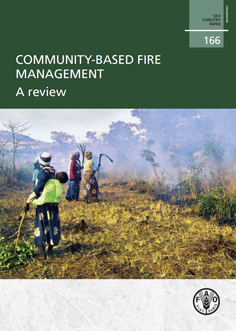 It facilitates technology and knowledge transfer of good practices. 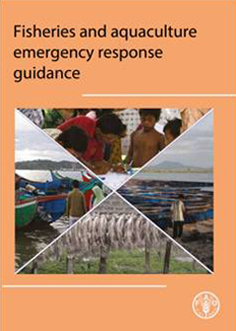 Prepare and respond: FAO strengthens capacities at all levels for preparedness to improve response to, and recovery from, future threats to food and nutrition security, and to reduce their potential negative impact on livelihoods. See Emergency Livelihood Kits in South Sudan.